Among the many benefits that have been linked to limiting screen time—including improved sleep, decreased body mass index, and even decreased aggression—is one that's especially important for school-age kids: improved academic performance. Not surprisingly, research has also found that the more kids use tech devices, the less likely they are to finish their homework. Compared to children who spend less than two hours a day on screens, kids who used digital media devices for non-school-related purposes for two to four hours a day were 23 percent less likely to always or usually finish their homework. More digital media use made things much worse: The study found that compared to children who used screens for less than 2 hours per day, kids who spent four to six hours on screens had 49 percent lower rate of always or usually finishing their homework and children with six or more hours of media use were 63 percent less likely to always or usually finish their homework. As many as 36 percent used digital media for two to four hours each day; 17 percent used screens as much as to four to six hours a day; and as many as 17 percent of children used media for more than 6 hours a day. Set limitations and expectations early. Start setting limits on what children can see and do on tech devices when they are young, and be consistent and firm about the amount of time they can spend on screens. Have a media plan. You wouldn't let your child eat unlimited amounts of all kinds of junk food; the media they consume should also be overseen and limited by parents. Healthychildren.org has a useful tool that helps parents plan kids' media use, says Dr. Ruest. Keep track of how media use can add up in a typical day. "We sometimes don't realize the additive effect of kids' media use," says Dr. Ruest. "Ten minutes on the iPad, fifteen minutes on the computer—over the course of time, it can add up to a lot." Don't forget about background noise. These days, kids and adults often have multiple tech devices going at the same time. A child may be on her smartphone posting something on Instagram with the TV on while doing homework. Turn everything off to help your child focus and designate some times of the day and areas of the house scree-free. For instance, banish cell phones from the family dinner table and keep all screens—including TVs and computers—out of bedrooms. It's not just about homework. 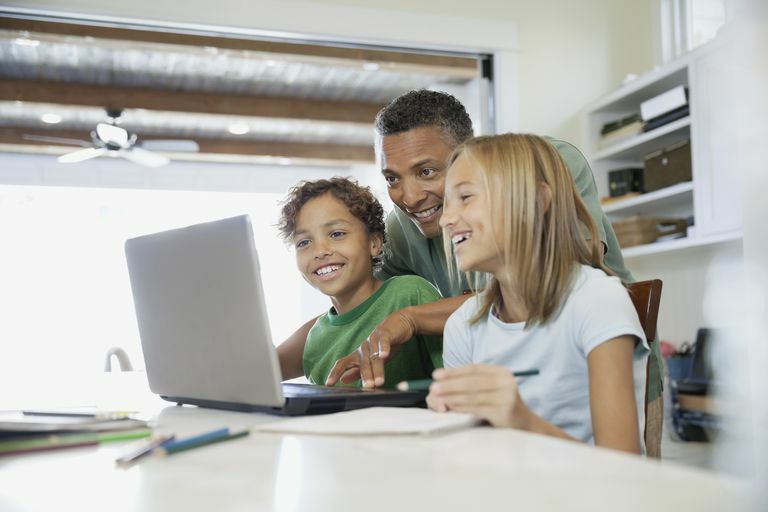 The study found that in addition to completing homework assignments, other markers of a child's overall well-being, called "childhood flourishing"—always or usually caring about doing well in school; finishing tasks that are started; being interested in learning new things; and staying calm when faced with challenges—decreased with increased amounts of time spent on screens, regardless of the child's gender, age, or socioeconomic status.